Read the stories behind the People, Places and Events of the area. Use the Timeline to follow events from the Roman period to the present day. Try one of the Themed articles, look at the Artefacts, our Archive of 13,000 photographs and maps, and 1,800 documents, or Search all 3,000+ pages for a topic of your choice. Whatever you do, enjoy your visit! 1369 - 650 yrs since Thomas Hungerford bought the manor house of Farleigh Montfort (near Trowbridge, Wiltshire) from the de Montfort family for £733 6s 8d. 1369 - 650 yrs since John of Gaunt's first wife Blanche died. 1869 - 150 yrs since Wesleyan Chapel in Charnham Street built. 1894 - 125 yrs since boundary changes bring Charnham Street into Hungerford. 1919 - 100 yrs since the Peace Celebration Dinner marking the end of the First World War. 1944 - 75 yrs since General Eisenhower addressed American troops on Hungerford Common. 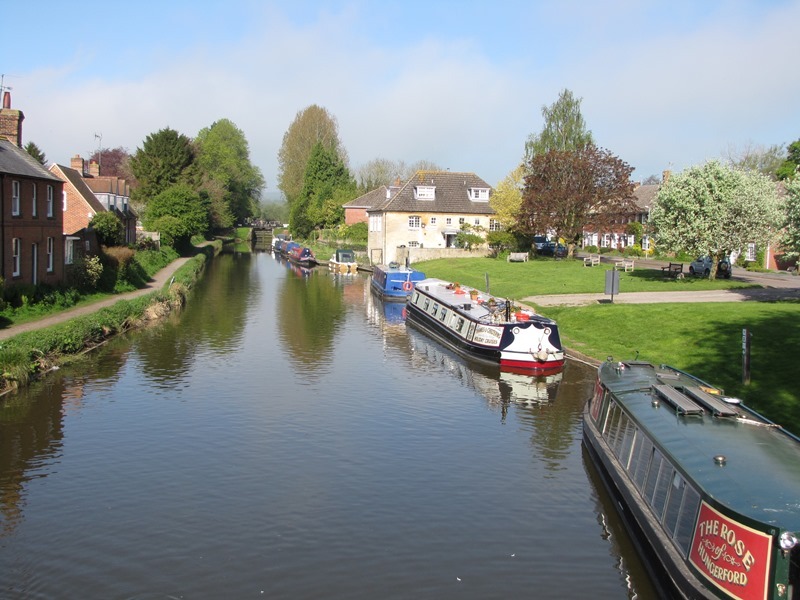 1974 - 45 yrs since the Kennet & Avon Canal was re-opened to Hungerford after restoration. 1974 - 45 yrs since The Regent Cinema was pulled down and Regent Close was built.